In line with our customers’ needs, Unicoatings is always moving forward with new solutions, innovations, expansions and distributor partnerships. Here you will find details of our latest news, developments and events where you can meet the Unicoatings team. 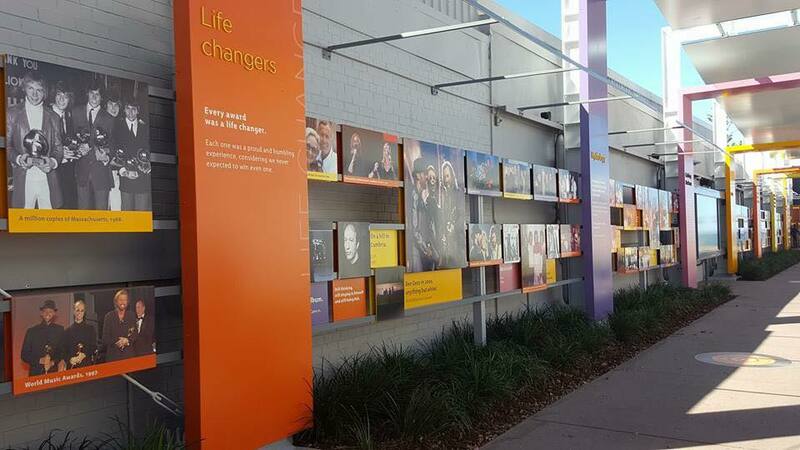 Unicoatings Australia coated the entire Bee Gees Way in Redcliffe, Queensland in 2013. After 5 years of exposure to harsh seaside elements and UV sunlight, the display looks as brilliant today as it did in 2013. A before and after picture. 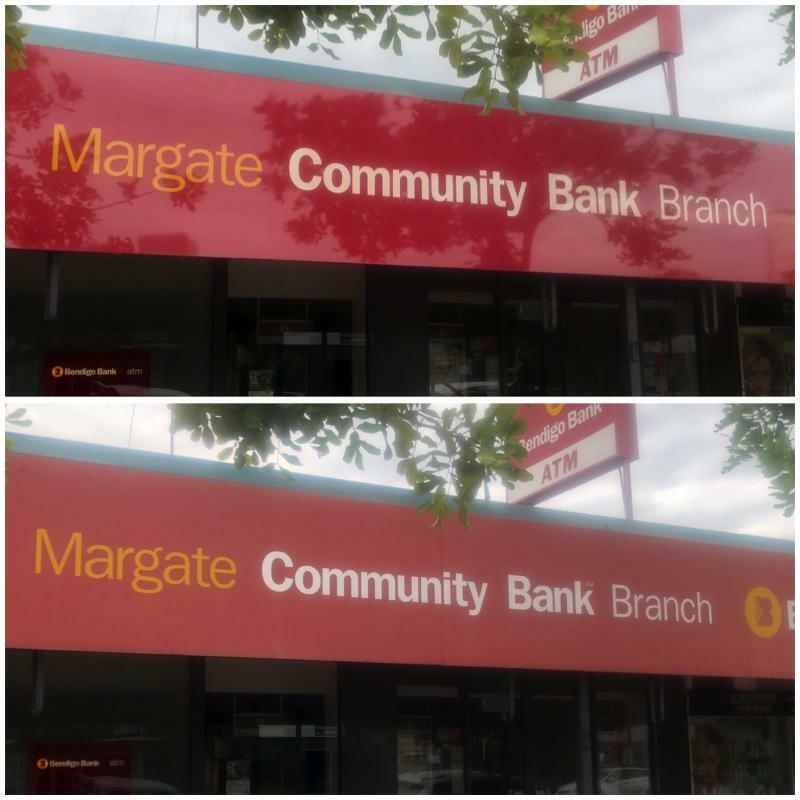 This bank sign is now protected with UC2K so will enjoy a long lasting shine, with high protection against salt spray, corrosion, solvents, chemicals, tar, acids, alkaline and UV sunlight. It will also be much easier to keep clean. 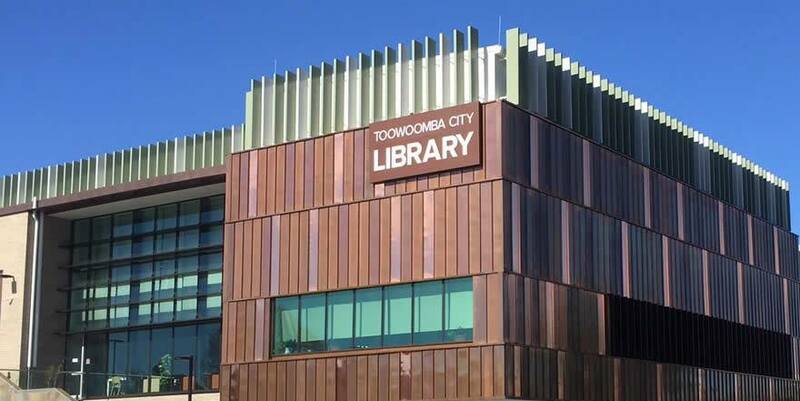 Unicoatings UC2k protective coating protects the exterior of the Toowoomba Library in Australia. The building is nearly completely enclosed with copper panels. UC2K prevents the green leaching that affects copper when exposed to rain and bird droppings. It also allows the copper to be easily cleaned. A new customer will appreciate the protection that UC2K protective coating will give to his commercial assets by delivering an easy to clean protective shield that will repel unwanted contaminants and prevent damage to the protected surface for many years. The attributes of Unicoatings UC2K really come into play here. 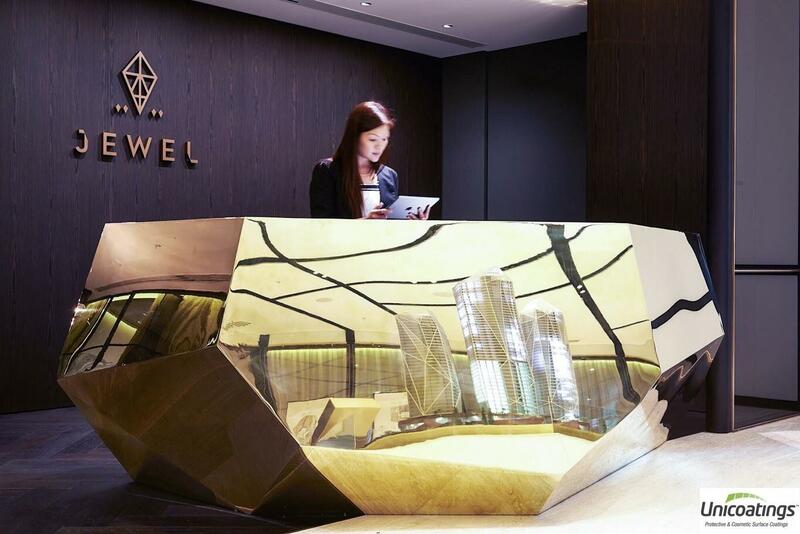 Long term preservation of the gloss finish, plus anti-fingerprint protection and making the display easy to clean were all key benefits that our customer recognised. 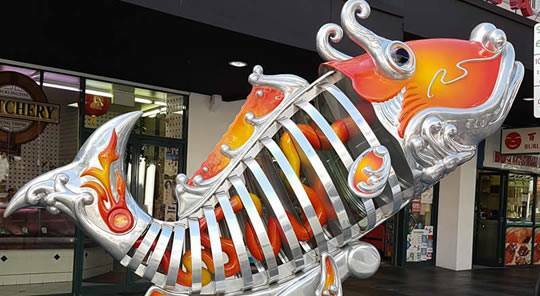 Unicoatings Australia applied a protective coating to this piece of art, located in the Fortitude Valley Mall, Brisbane, Queensland way back in 2008. It’s still shiny and brilliant today, 10 years later. 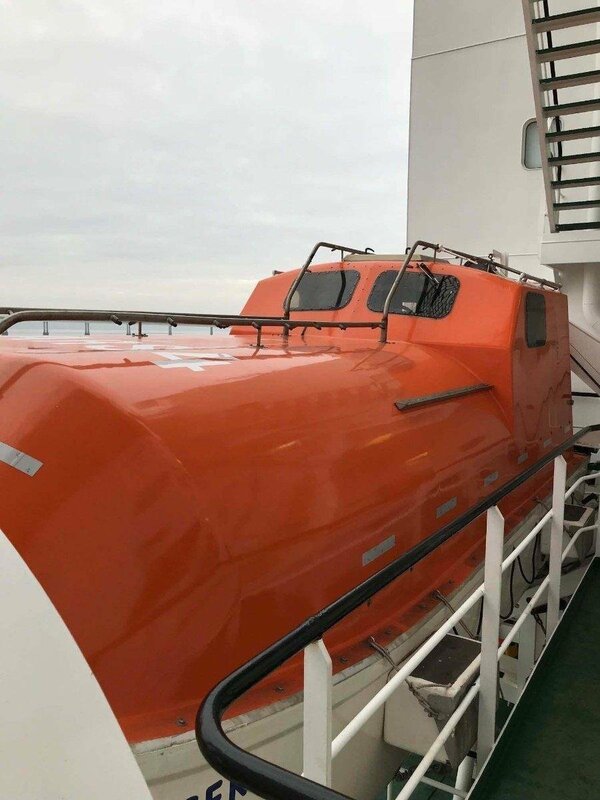 Lifeboat owner very happy that even after 18 months of continuous exposure to salt water and UV sunlight there is no visual degradation in the integrity of the boat’s surface which was treated in Unicoatings UC2K MARINE COAT protective coating. 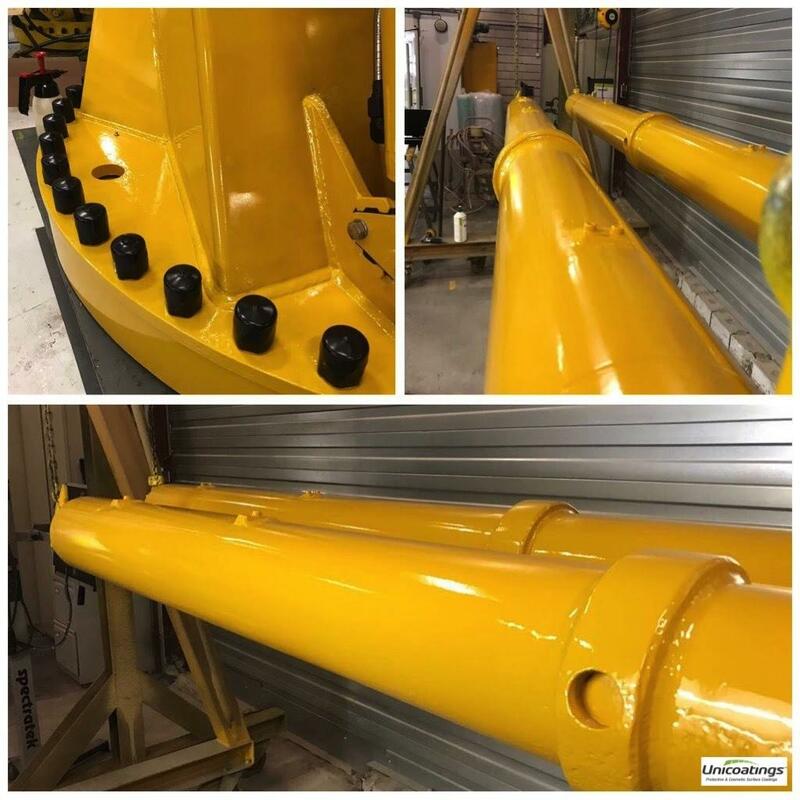 These crane sections are about to be shipped to a customer in Dubai. 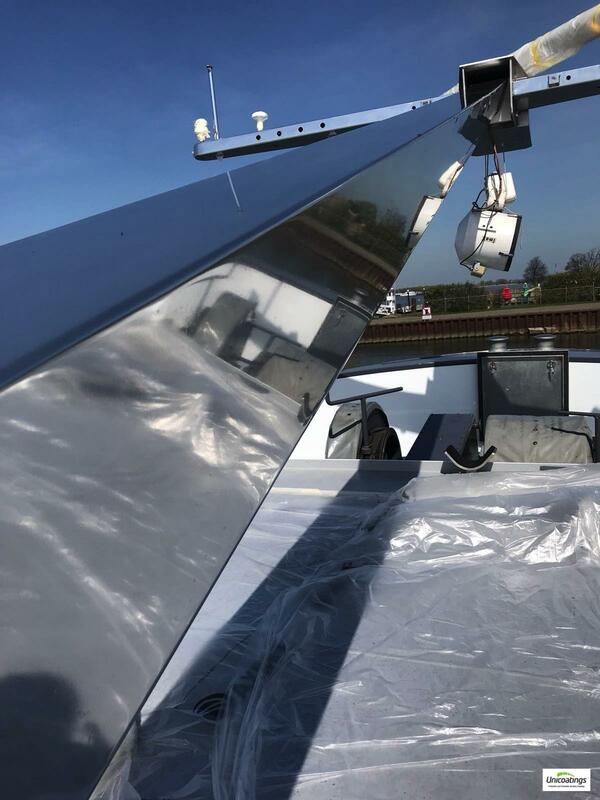 The customer specified them with a layer of Unicoatings UC2K to provide added protection against colour fading, when subjected to the strong UV sunlight, and also to make them easier to clean.